This ham is simply delicious.The light infusion of bourbon into the apple butter glaze doesn't overwhelm it but instead lifts the flavor and blends really well with the saltiness of the ham. Not only is this a perfect ham to serve at the holidays, but the leftovers make some fantastic sandwiches. Preheat grill for medium-high heat. In a small saucepan, melt butter and add apple butter and bourbon. Cook over medium heat, stirring often until mixture has melted through. Reduce heat to low and add remaining ingredients. Simmer for an additional 5 minutes. Remove from heat and cool to room temperature before using. Place ham onto grill and cook for 30 minutes. Begin applying apple butter-bourbon glaze onto ham every 20 minutes for the remaining 1 1/2 hours of cook time. Keep a close eye on the ham to ensure that it does not burn. The sugar content in the glaze is quite high and has the potential to burn quickly. Once ham is nicely golden, remove from heat and tent loosely with tin foil. 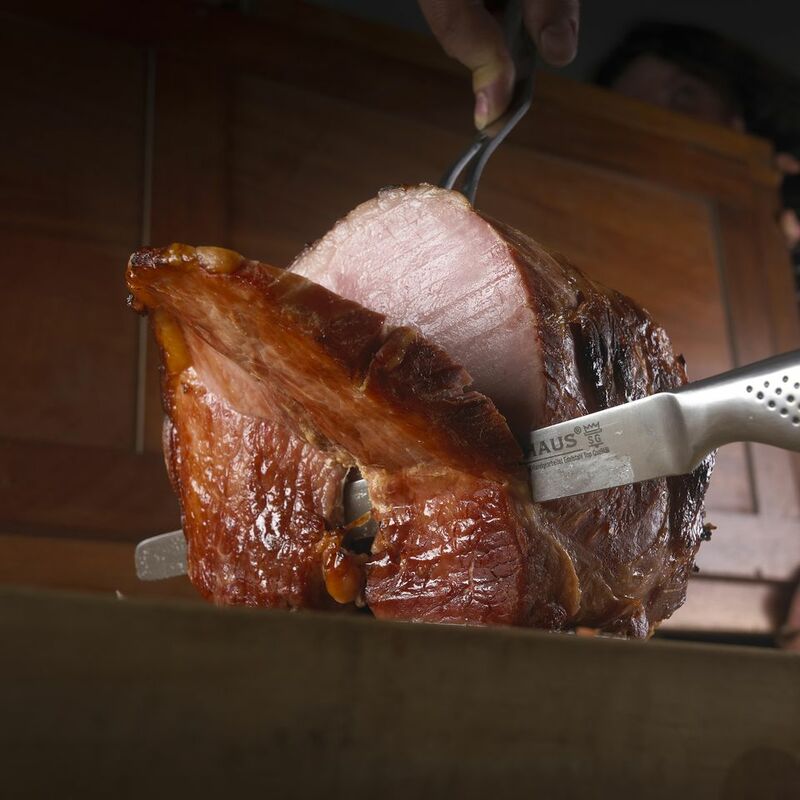 Let ham rest for 10-15 minutes before carving. Serve with your favorite grilled sides. If you'd like to serve the ham more sauce, simply double the recipe and reserve half of it for serving. Rewarm the remaining glaze shortly before carving the ham.